Just a quick entry today. I haven't been thrifting too much lately. I have spent most of my free time prepping for fall craft shows. I did stumble upon this set of stamps in a wooden box yesterday and for 98 cents it seemed like a good deal. I thought these stamps would be great for use in polymer clay jewelry. 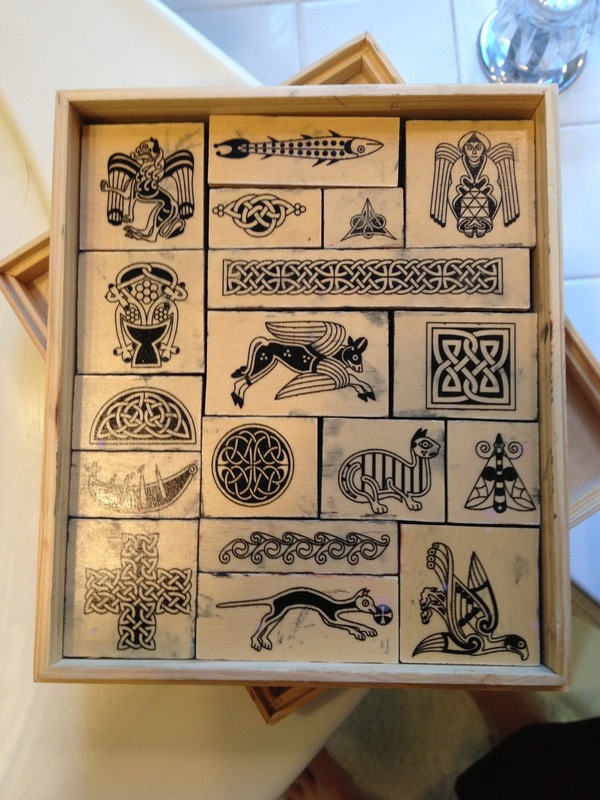 I feel a bit of Celtic knot whimsy in my future. Wowza!!!! What a great find!!! Oooh, Tammie, I am so jealous... those are gorgeous little treasures. Stamping is great; even scrap clay looks great when stamped and covered with a little PearlEx powder. Oh Gosh, Tammie these are an awesome set of stamps! !